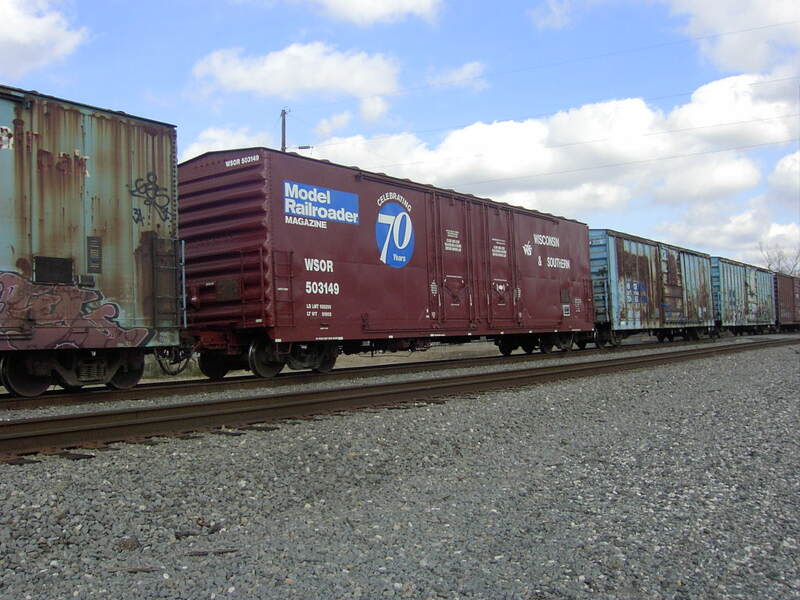 Welcome to Model Railroader 70th anniversary box car page. I was lucky enough to stumble across this commemorative car while on business in Lake Charles, LA on February 19, 2004. 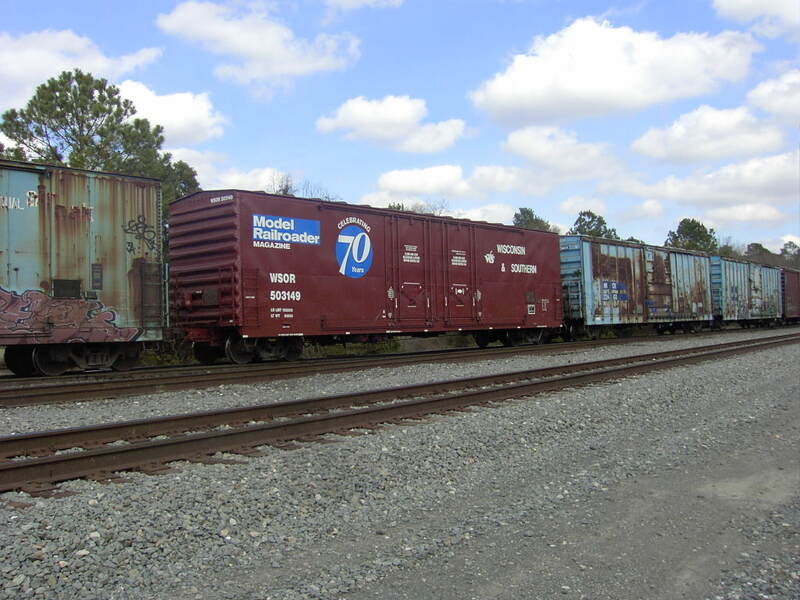 I was driving along I-10 over the overpass over the old SP yard when I glanced to my right and saw a freshly painted, grafitti-free box car. While this alone was enough to catch my attention, the large Model Railroader 70th Anniversary logo was good enough cause to open an investigation! After exiting the interstate and doubling back toward the yard, I wound up across a ditch from the car on an access road. I had my camera and the batteries were still alive, but the sun was on the wrong side of the tracks! I would be shooting into the afternoon sun which ain't good. 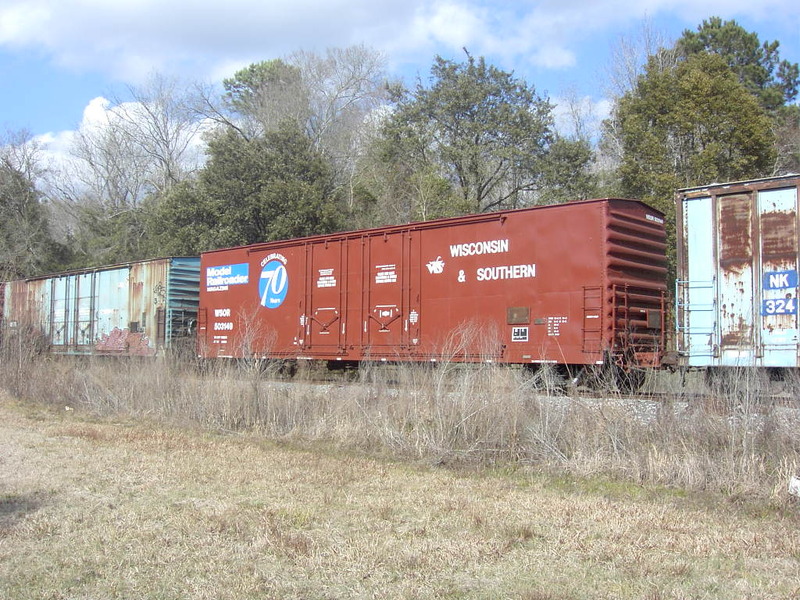 After taking a few shots to prove I had caught this celebrity freight car, I had resigned to the fact that I could not get any better shots and started to prepare to get on the road.....when the car started moving. It was headed east (the same direction as I was headed,) so I figured it was on an east bound train that I could pace back toward New Orleans. 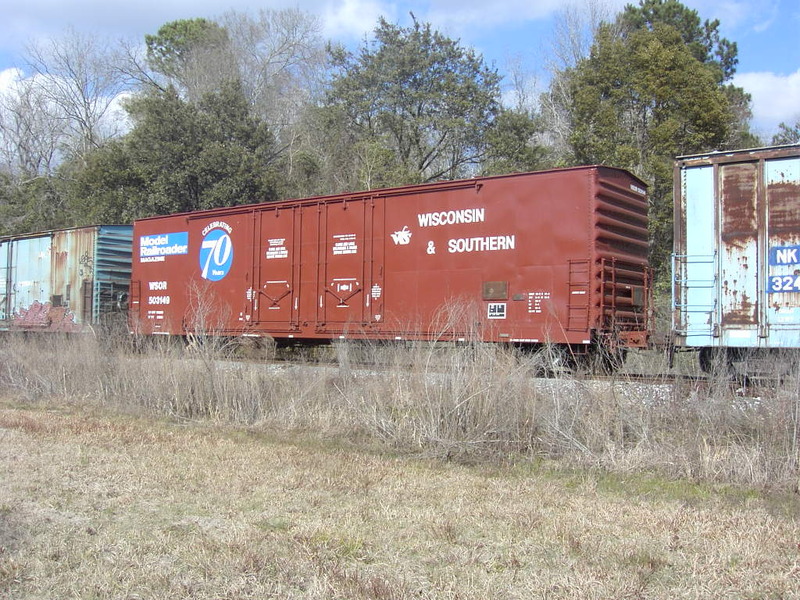 It ended up being on a train, but the train was a local headed for the Port of Lake Charles. After some questioning of the car inspectors, I found out that the train would be departing in around twenty minutes. I positioned myself for a good photo and waited. Finally, as I was told, the train departed and I was able to get a few good photos. I chased the train to the next crossing and waited for it to get out onto the main line for a short trip to the junction with the Port of Lake Charles (ex-MP) line. I raised a few eyebrows of onlooking motorists as I jumped over a ditch to position myself for a good shot as the train exited the main and headed down what reminded me a lot of the branch lines of my youth. I left Lake Charles that day with a feeling of accomplishment. Like I have heard hunters describe when they have stalked a wild beast and brought home a trophy buck. I turned on the radio and happily rocked out to my tape of the KISS ALIVE! album. Congratulations to Model Railroader magazine for 70 wonderful years!